This week The Courier ran its Impact 100 list of the most influential individuals and organisations from across Tayside and Fife in 2014. The University of Dundee is strongly represented in the poll, with 17 placings and listings for staff, students, graduates, honorary graduates and other friends of the University below. 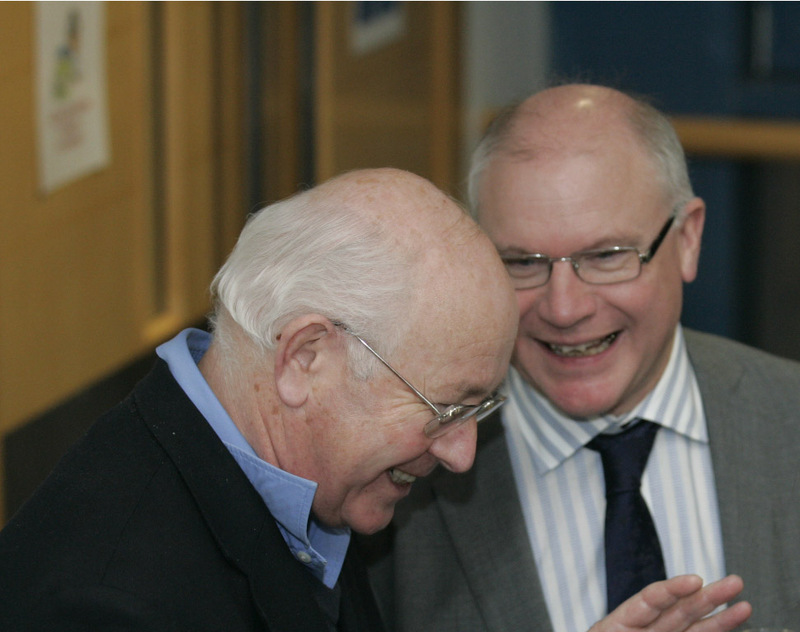 Two of the most prominent members of the College of Life Sciences, Professor Sir Philip Cohen and Professor Mike Ferguson feature on the list as well as long-time CLS associate Professor Sue Black of CAHID. His Year: Professor Ferguson is the first Regius Professor in Life Sciences at the University of Dundee and this year oversaw the opening of the £26 million Discovery Centre, home to researchers supported by over £31 million in research grants. 180 new jobs were created in the process. Professor Ferguson is particularly interested in transitional research and with his colleagues, established the Discovery Centre for Transitional and Interdisciplinary Research, which was opened by Nobel Laureate and president of the Royal Society of London, Sir Paul Nurse. Her Year: 2014 saw the opening of the Val McDermid Mortuary at the University of Dundee, after serious fund-raising efforts to bring this million-pound, state of the art facility to the city. Professor Sue Black oversaw the campaign in her role as a world authority on forensic anthropology. She heads up the Centre for Anatomy and Human Identification (CAHID) which has also been awarded the Queen’s Anniversary Prize for Higher Education 2014. This year, CAHID also launched a unique post-graduate programme, an MSc in anatomy and advanced forensic anthropology and Professor Black was appointed one of 28 new Royal Society Wolfson research Merit Award Holders. She was co-author of a report on Syrivan detainees and featured as the subject of Radio 4’s The Life Scientific. Panel View: Dundee is now at the forefront in forensic anthropology and human identification in no small measure due to the personal influence and professional excellence of Professor Sue Black. She has attracted a top class team to CAHID and as well as her academic credentials, is credited with putting a human face, in more ways than one, on the work she does. His Year: One of the world’s most distinguished scientists and academics, and a central figure in the College of life Sciences at the University of Dundee, professor Sir Philip Cohen received the 2014 Albert Einstein World Award of Science from the World Cultural Council. It was given in recognition of his outstanding and ongoing 40-year career devoted to studying and establishing the importance of protein phosphorylation in regulating almost every physiological process. The council credited the professor with “bringing true benefit and well-being to mankind” in the development of drugs and treatments with global impact. He admitted that he had no idea he had even been nominated and shared his recognition with the college, university, students and postdoctoral students “who have underpinned the success of my laboratory over the past 43 years”. This year he also warned about the potential effects of a Yes vote in the referendum campaign on secure research funding. Panel View: Sir Philip’s Cohen stature is undeniable and this award, bearing the name of perhaps the greatest and best-known scientist of all time, is testament to his own achievements, and to the context in Dundee in which these have been created.